Midwest Supply Is A Full Service Building Supply Center. We have everything you need to complete a new construction or renovation project from traditional hardware and building materials to custom structural windows and Kayu hardwood. Our materials are manufactured to last and save on energy costs. 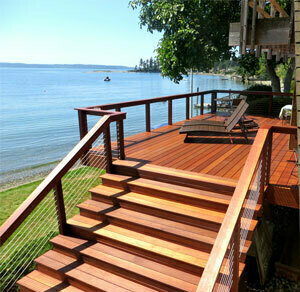 Midwest Supply is the areas authorized dealer for Sierra Pacific building materials. Sierra Pacific manufactures thermal performance windows and doors with hardware designed to endure harsh weather conditions. This product line is manufactured to be energy efficient and treated to protect against water, insects, and rot. We offer these products in many different styles and sizes, whether you’re looking for something traditional, modern, rustic, or contemporary. Sierra Pacific windows and doors are also available to be custom made. Midwest Supply offers customizable energy saving windows from ViWinTech in various sizes, styles, glasses, and grids. 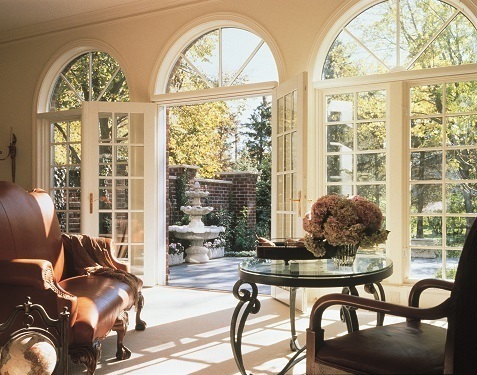 ViWinTech windows are generally more affordable than fiberglass and wood. They are low maintenance and never need sealing or painting. These windows are manufactured for long-lasting energy savings for any new structure or to renovate existing windows and doors. The Super-Spacer Warm Edge Glass System provides thermal performance, durability, mold prevention, and sound absorption. Midwest Supply can provide you with siding, trim, and cabinets. Whatever style you are looking for on your home we have you covered to help finish the job. Midwest Supply is the builder’s choice supplier for Kayu Hardwoods for exterior siding, interior paneling, fences, gates, flooring, decks, and more! Kayu Hardwoods are exquisite in appearance and extremely durable. They are resistant to decay, insects, fungal attacks, abrasion. wear, dents, and fire. Midwest Supply carries RealWoodFloors and have a wide array of pre-finished and unfinished wood floors. Our showroom includes our entire selection of solid and engineered flooring that can be sorted by type, color, width, and more. With RealWoodFloors you can find a style that fits your taste and budget. Midwest Supply is the place to go for pressure-treated pine by Yellawood. Yellawood Pine is available in a variety of lumber grades preserved by micronized copper. You can order it with a factory applied water repellent to minimize cracking, warping, and twisting. Then the pine is kiln-dried so that it will not shrink after installation. Yellawood Pressure-Treated pine is environmentally friendly and building code compliant.